Michigan's Morning Show, WJIM Airdate: October 12, 2011 Michael Patrick Shiels and Amanda Wall interview MGLI pres. 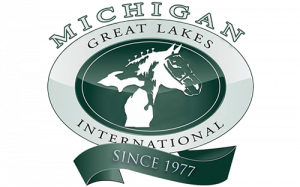 Aaron Rice about the draft horse lunch hour parade in downtown Lansing and the annual MGLI Draft Horse Show and Pull at the MSU Pavilion Oct. 13-16. Greater Lansing Convention & Visitors Bureau Published: October 10, 2011 The Latest Buzz: A Horse of Course! Mid-Michigan Pets, WILS Radio Airdate: January 8, 2011 MGLI pres. Aaron Rice Promotes MGLI 2011 with Lee Cohen and Holly Rotter. in the Morning Airdate: October 13, 2010 MGLI Pres. Aaron Rice promotes MGLI 2010, on statewide radio network.